Ready for a night out at the movies? Unbroken: Path to Redemption is out in theaters soon and we’ve got tickets for 2 lucky winners! 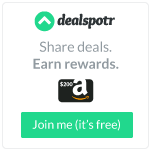 Enter daily & check out the other giveaways in the hop! Having watched the film, my thoughts haven’t changed much from what I wrote when I read about the film. (See below) It is such an emotional and touching film and truly brings the emotions from the screen to the audience. It’s certainly a film that you should check out. The message, of course, is one we all need to be reminded of or learn from time to time. I have no desire to ruin anything for you. I do suggest you take tissues to the theater or have them close at hand when you watch the film. It is very touching and will definitely bring one to tears. I’m not certain I’d suggest someone who has PTSD from a similar situation but that’s a judgement call one has to make on their own. Path to Redemption is the inspiring and powerful continuation of Louis “Louie” Zamperini’s post-World War II story and his struggle to find peace and forgiveness after his ruthless treatment as a Japanese prisoner of war. While the story stands alone, the brand-new film picks up where 2014’s epic saga UNBROKEN ends, continuing the amazing true story of the Olympian and World War II hero. 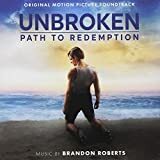 Following the Allied victory in World War II, UNBROKEN: PATH TO REDEMPTION tells the story of Zamperini’s experiences returning to the United States. When the war ended, his real battle began. Before we get to the giveaway, I want to give a giant shoutout and thank you for our host, Mama The Fox! It’s not easy putting these together, especially not when she has to deal with people like me who join last minute! Check out the other giveaways along the hop then come back and catch all the amazing giveaways we have going! Previous PostChicken Tortilla CasseroleNext PostGift Bag Re-do! jake gyllenhall has made some amazing movies lately. i’m excited to see him in this role.